﻿ The B-Vitamin Rich Vegan Food You'll Want To Put On Everything - I AM Co.
You have likely heard about the unglamorous sounding “savoury yeast” before but may not have been enthused to try it out due to its connotations with live yeast (used for making bread) and brewer’s yeast (used for making beer). Despite its old-school vegan origins and slightly strange appearance, savoury yeast is actually a totally delicious and nutritious ingredient that can bring a lot of flavour and health benefits to your cooking – vegan or not! 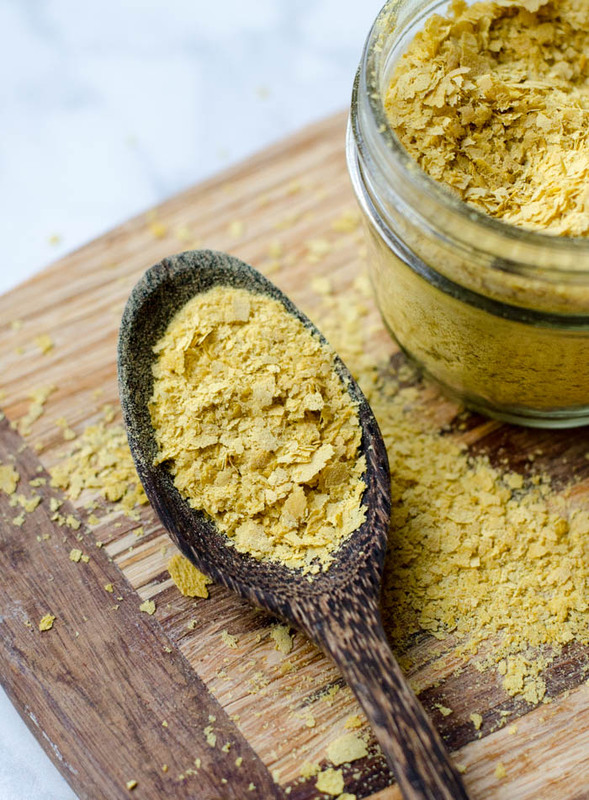 Savoury yeast (or nutritional yeast) has really taken a rise in the health world in recent times for its yummy savoury, Parmesan-like flavour, its versatility in cooking, and of course its nutritional value. Where does savoury yeast come from? Savoury yeast is different from live yeast or brewer’s yeast and is usually grown from sugarcane, beet molasses or wood pulp. As it is grown from a substance that is typically lacking in nutrients, the yeast creates its own amino acids and vitamins through different chemical reactions, which then give rise to its unique nutritional qualities. Savoury yeast is part of the fungi family and it undergoes a natural fermentation process. Once that’s complete it is harvested and dried, which inactivates the yeast, making the nutrients available and preventing any further growth. This whole process is what gives savoury yeast its unique flavour; free of sodium and sugar and brimming with nutrients like B vitamins, zinc, and selenium. What are the health benefits of savoury yeast? Savoury yeast can be thought of as one of the original superfoods. It is rich in essential amino acids, minerals and B vitamins, all of which many people on a plant-based diet need more of. It is also a low GI food and therefore can help control blood sugar levels. And if that wasn’t enough… Savoury yeast is made of probiotics, which are great for keeping your gut healthy and your immune system strong. Of particular interest in savoury yeast is its rich content of B vitamins. All B vitamins are different but they all work together in the body to support energy production and neurological function. They are essential in the diet and can be harder for those eating plant-based diets to obtain. Savoury yeast is a great source of vitamins B1, B2, B3, B6 and B12. How can savoury yeast be used in everyday cooking? 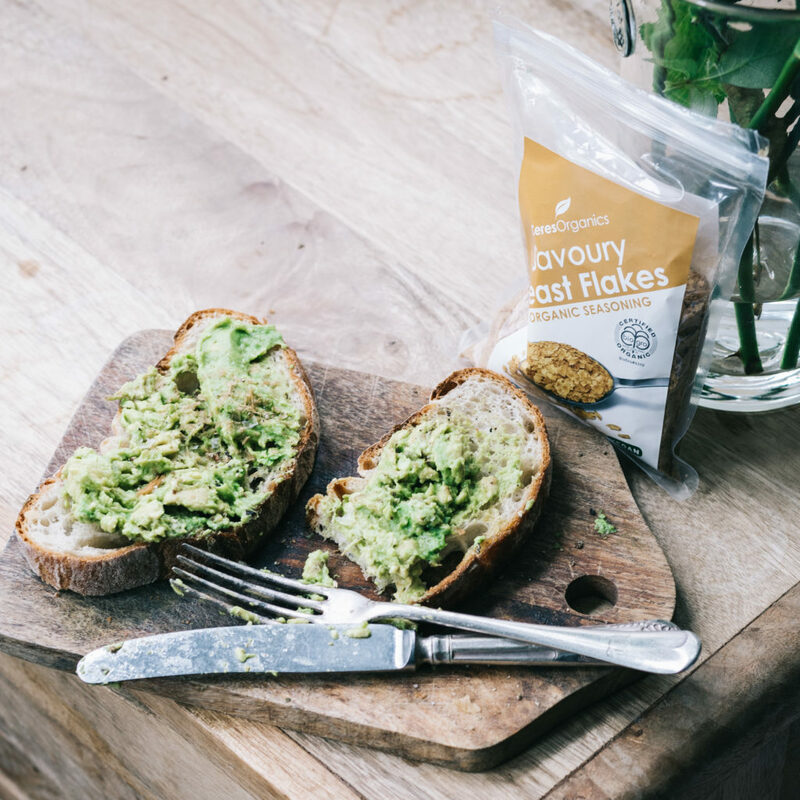 Ceres Organics featured their delicious Savoury Yeast Flakes in the March Delight Box and it is simply delicious! These packs of flakes have become a pantry staple in our households. 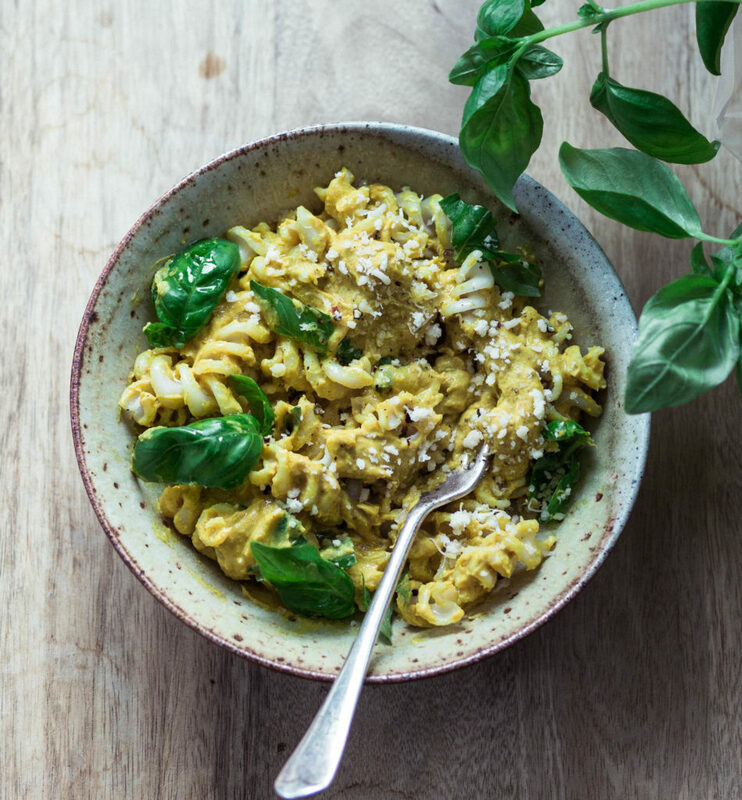 If you’re looking for recipe inspo for using your savoury yeast, check out this recipe for Vegan Mac ‘n Cheeze for our healthy take on a comforting classic. YUM!